A considered smack is a parent’s right – Moves to outlaw smacking will further confuse and discourage parents. If we can’t trust adults, children will lose out – Can we afford to ignore the commitment of volunteers? Lowering the school leaving age – If teenagers see schools as a kind of PoW camp in a war between the generations, who can blame them? 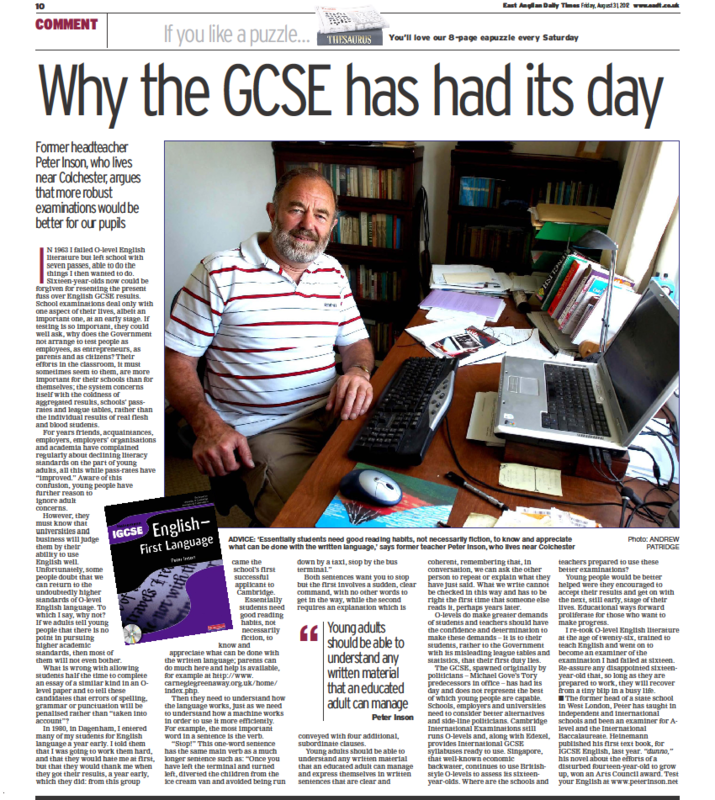 Lucky break for the boarder – Secrets of success in a 21st century boarding school More Church Schools – Beware the state’s enthusiasm. No need to be a Neet – Not in education, employment or training – a new diploma is introduced. Not the way to help state schools – I have worked in both sectors, and Alan Johnson ‘s proposal makes me want to laugh – and cry! Politician speaking sense on schools – David Cameron grasps a nettle. Presentation, not content, is now the key to exams – Students are taught the use of headlines, without doing the more important bit first. Stop interfering and set our schools free – City academies to take over primary schools. It’s all happening too fast. Teacher spy – Public enemy or public benefactor? – hidden cameras – every supply teacher should be given one. Teachers – Whose side are they on? – Teachers need to put their pupils first. Trusting teachers to touch children – Trust teachers if we want the best from them. Work ethics – Is compulsory schooling socially excluding some youngsters? Essex – What counts as the county’s culture?